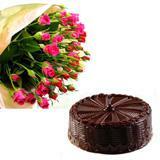 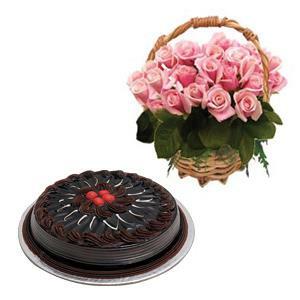 A basket of 50 Pink Roses and a delicious 1 Kg Chocolate Cake makes this gift a special one. 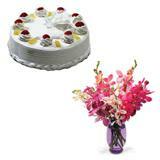 Shower your affections on your special loved ones in Indore through this Combo Gift. 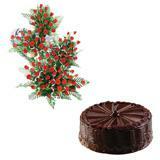 There are some really exciting feelings that come up when you team this combo with Gifts to Indore. 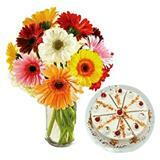 Try this idea and you will definitely be surprised with the results.